Ronnie Barkan is a long-time Israeli friend of FSOI. 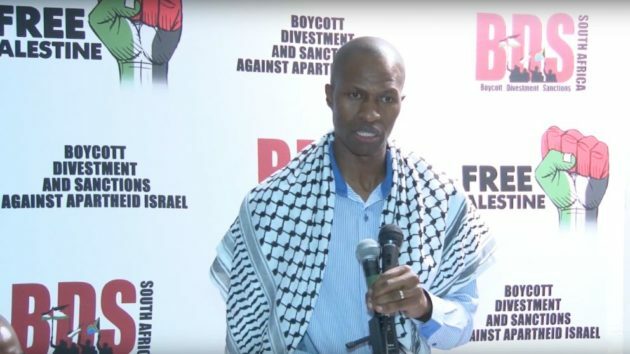 Alongside two other activists for Boycotts, Divestments and Sanctions (BDS) against Israel, he faced a first trial hearing in Berlin on 4 March for disrupting a talk by Israeli lawmaker Aliza Lavie at Humboldt Wniversity in Berlin (in 2017). The three were pointing out her complicity in war crimes and crimes against humanity. The three are Ronnie Barkan, Stavit Sinai (both Jewish-Israeli) and Majed Abusalama (Palestinian), known as the “Humboldt 3”. This is his powerful speech to the court. I stand here today with a sense of pride. Not the pride of vanity, but pride in knowing that what I did was fundamentally right and done for the greater good. I also stand here today as the accuser, not the accused. 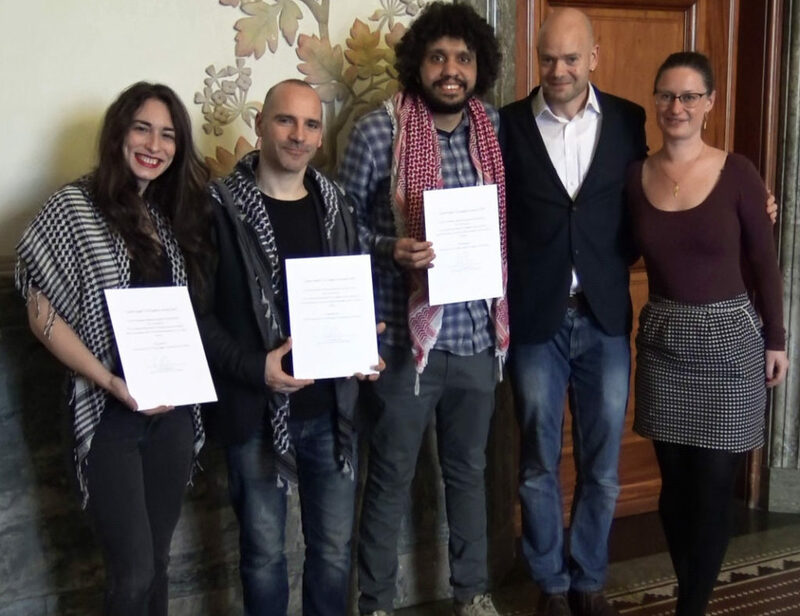 The Humboldt 3, Stavit Sinai, Ronnie Barkan, and Majed Abusalama, receive an award for their courage from Copenhagen’s Mayor for Technical and Environmental Affairs, Ninna Hedeager Olsen (far right) in February 2019. How far the international community’s approach towards Israel has reversed trajectory over the past half century can be gauged simply by studying the fate of one word: Zionism. In 1975 much of the world broke ranks with the United States and Europe at the United Nations general assembly to declare that Zionism, Israel’s founding ideology, “is a form of racism and racial discrimination”. Western publics were generally shocked. Zionism, they had been told, was a necessary liberation movement for the Jewish people after centuries of oppression and pogroms. Its creation, Israel, was simply the righting of terrible wrongs that had culminated in the horrors of the Holocaust. But Zionism looked very different to those countries around the globe that had been exposed to centuries of European colonialism and the more recent advent of US imperialism. The long history of crimes against Jews that led to Israel’s establishment took place mostly in Europe. And yet it was Europe and the US that had sponsored and aided the arrival of Jews in another people’s homeland, far from their own shores. To the global south, the great purges of native Palestinians carried out by European Jews in 1948 and 1967 looked all too reminiscent of white Europeans cleansing indigenous peoples in the US, Canada, Australia, New Zealand and South Africa. By 1975, the time of the UN vote, it was clear that Israel had no intention either of handing back to the Palestinians the occupied territories it had seized eight years earlier. Rather, Israel was entrenching the occupation by illegally transferring its own civilian population into the Palestinian territories. Across much of the globe, these Jewish settlers looked like an anachronism, a reminder of the white “pioneers” heading westwards across the supposedly empty lands of the US; the white farmers who seized vast tracts of South Africa and Rhodesia as their personal homesteads; and the white newcomers who herded the remnants of Australia’s Aboriginal peoples into reservations or turned them into a sideshow at its tourist sites. The UN’s “Zionism is racism” resolution lasted 16 years – until the fall of the Soviet Union and the emergence of the US as the world’s sole superpower. After a lot of diplomatic arm-twisting by Washington, including promises that Israel would engage in a peace process with the Palestinians, Resolution 3379 was finally scrapped in 1991. Decades later, the pendulum has swung decisively the other way. US and European elites have moved on from their once-defensive posture that Zionism is not racism. Now, they are on the attack. Their presumption is that anti-Zionism – the position of much the international community 44 years ago – is synonymous with racism. Or more specifically, it is increasingly being accepted that anti-Zionism and antisemitism are two sides of the same coin. That trend was consolidated last week when Emmanuel Macron, the centrist French president, went further than simply reiterating his repeated conflation of anti-Zionism and antisemitism. This time he threatened to outlaw anti-Zionism. Macron’s confusion of anti-Zionism with antisemitism is patently nonsensical. Antisemitism refers to the hatred of Jews. It is bigotry, plain and simple. Anti-Zionism, on the other hand, is opposition to the political ideology of Zionism, a movement that has insisted in all its political guises on prioritising the rights of Jews to a homeland over those, the Palestinians, who were already living there. Anti-Zionism is not racism against Jews; it is opposition to racism by Zionist Jews. Of course, an anti-Zionist may also be antisemitic, but it is more likely that an anti-Zionist holds his or her position for entirely rational and ethical reasons. That was made only clearer last summer when the Israeli parliament passed a basic law defining Israel as the nation-state of the Jewish people (PDF). The law asserts that all Jews, even those with no connection to Israel, enjoy a right to self-determination there that all Palestinians are deprived of, including the fifth of Israel’s population who are Palestinian and formally citizens. In other words, the law creates two statuses in Israel – and implicitly in the occupied territories too – based on an imposed ethno-religious classification system that entitles all Jews to superior rights over all Palestinians. In constitutional terms, Israel is explicitly operating an apartheid-style legal and political system, one even more encompassing than South Africa’s. After all, the apartheid rulers of South Africa never claimed that theirs was the homeland of all white people. Macron’s threat to outlaw anti-Zionism is the logical extension of existing moves across Europe and the US to penalise those who support BDS, the growing international solidarity movement with Palestinians that calls for boycott, divestment and sanctions against Israel. Many members of the BDS movement, though not all, are anti-Zionists. A proportion are anti-Zionist Jews. The movement not only leapfrogs western policy elites’ decades of complicity in Israel’s oppression of the Palestinians but highlights the extent of that complicity. That is one reason it is so reviled by those elites. France has gone furthest so far in this direction, criminalizing BDS as a form of economic discrimination. It thereby conflates a state, Israel, with an ethnic group, Jews – precisely as antisemites do. Such legislation makes as much sense as France outlawing a boycott of apartheid South Africa back in the 1980s on the grounds that it discriminated against whites. France, however, is simply at the head of the curve. In the US some 26 states have enacted laws to punish or sanction individuals and organisations that support a boycott. Similar legislation is pending in a further 13 states. None seem concerned that they are violating Americans’ much-cherished First Amendment rights, and making an exception to the right to free speech in one case only – that of Israel. This month the US Senate joined the fray by passing a bill to encourage states to inflict economic punishments on those who support a boycott of Israel. These victories against the non-violent BDS movement are the result of vigorous and malevolent efforts behind the scenes by Israel lobbyists to confuse anti-Zionism with antisemitism. As Israel’s standing among western publics has plummeted with the advent of social media, endless videos of violence by the Israeli army and settlers caught on phone cameras, and Israel’s starvation of Gaza, Israel’s lobbyists have moved to make it ever harder to speak out. Their coup was the recent widespread acceptance in the west of a redefinition of antisemitism that intentionally confuses it with anti-Zionism. Israel’s fingerprints are all over the work of the International Holocaust Remembrance Alliance (IHRA). It is therefore hardly surprising that the lengthy and vague definition of antisemitism devised by the IHRA has been supplemented by 11 examples, seven of which refer to Israel. One example, stating that Israel is a “racist endeavour”, suggests that the 72 UN member states that voted for 1975’s “Zionism is racism” resolution, as well as the 32 that abstained, were themselves espousing, or turning a blind eye to, antisemitism. 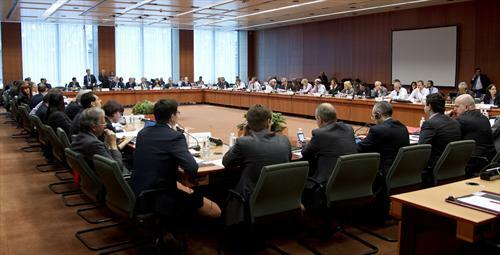 Western governments, local authorities, political parties and public bodies are now racing to adopt the IHRA definition. The result has been a growing fear among western publics about what can be said any longer about Israel without eliciting accusations of antisemitism. That is the goal. If people become afraid that others will think them antisemitic for criticising Israel, then they will keep quiet, giving Israel greater leeway to commit crimes against Palestinians. 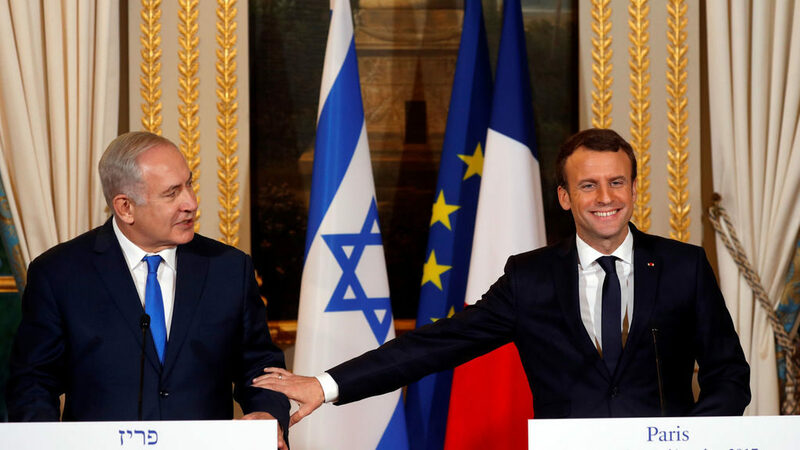 Were Macron and the IHRA right – that anti-Zionism and antisemitism are all but indistinguishable – then we would have to accept some very uncomfortable conclusions. One would be that Palestinians should be uniformly damned as antisemites for demanding their own right to self-determination. Or put another way, it would be impossible for Palestinians to demand the same rights as Jews in their homeland without that being declared as racist. Welcome to Alice Through the Looking Glass. Another conclusion would be that a significant proportion of Jews around the world, those who oppose Israel’s self-definition as a Jewish state, are also antisemites, infected with an irrational hatred of their fellow Jews. This is the “self-hating Jew” trope Israel has long relied on to discredit criticism from Jews. On this view, those Jews who want Palestinians to enjoy the same rights as Jews claim for themselves in the Middle East are racist – and not only that, but racist against themselves. And if Macron’s efforts to criminalise anti-Zionism prove fruitful, it would mean that Palestinians and Jews could be punished – maybe even jailed – for demanding equality between Palestinians and Jews in Israel. Preposterous as this reasoning sounds when laid out so bluntly, similar approaches to dealing with antisemitism are being readily accepted by actors across Europe and the US. The extent of this insanity was evident in the decision of Germany’s Bank für Sozialwirtschaft, or Bank for Social Economy, to shut the account of a Jewish anti-Zionist group, Jewish Voice for a Just Peace in the Middle East, over its support for a boycott of Israel. It was the first time a German bank had closed down a Jewish organization’s account since the Nazis were in power. The bank took the action after complaints that Jewish Voice was antisemitic by the Simon Wiesenthal Center, a group that masks its fervent support for Israel behind campaigning for Jewish rights. Macron’s antipathy to anti-Zionism – shared by many others seeking to confuse it with antisemitism – has an explicit cause as well as a more veiled one. Both are related to the political crisis he faces. After two years in power, he is the most unpopular president in the republic’s history. According to Macron, the rise of anti-Zionism, or more broadly growing opposition to Israel, is swelling the ranks of those who want to harm Jews in France, whether through attacks, the scrawling of swastikas on Jewish graves or the polluting of public discourse, especially on social media. Two groups that he and French Jewish lobby groups have identified as at the core of the problem are French Muslims, often recent immigrants who are seen as importing with them supposed racist Middle Eastern attitudes to Jews, and secular leftists who have taken the lead in supporting BDS. Although a small number of French Muslims have adopted extremist positions, most feel hostility towards Israel because of its role in displacing and oppressing Palestinians. That sentiment dominates among BDS activists too. But the implication of Macron and the lobby is that these two anti-Zionist groups are actually closely aligned with the antisemitic far-right and neo-Nazi groups, whatever their obvious respective differences in ideology and attitude towards violence. The blurring by Macron of anti-Zionism and antisemitism is meant to sow doubt about what should be obvious distinctions between these three very different ideological constituencies. Macron’s sleight of hand has a related and more specifically self-serving agenda, however, as has become clear in the wider misuse – or weaponisation – of antisemitism slurs in Europe and the US. Just as Macron has presented leftwing and anti-racism activists supporting BDS as in cahoots with neo-Nazis, he has lumped together the Yellow Vests with far-right white nationalists. Much of the French media have happily recycled this mischief. For those who assume that centrist leaders like Macron are acting not out of naked political self-interest but from a concern to eradicate prejudice and protect a vulnerable community, it is worth pausing to consider recent research on global political attitudes. Last year the New York Times published a commentary by David Adler showing that, contrary to popular wisdom, centrists were on average significantly less invested in democracy than the far left and far right. They were least supportive of civil rights and “free and fair elections”. These trends were particularly pronounced in the US, Britain, France, Australia and New Zealand, but noticeable in many other western liberal democracies. Additionally, in most western countries, including France, support for a strongman and for authoritarianism was much stronger among centrists than on the far-left. British and US centrists also outpolled the far-right in their love of authority figures. It is therefore perhaps not surprising that centrist leaders like Macron are among the most ready to disengage from fair and open debate, smear opponents and readily blur the ideological distinctions between those to their left and their right. And similarly, supporters of centrism are most likely to lap up unfounded accusations of antisemitism in the service of maintaining a status quo they perceive as benefiting them. That process has been starkly on show in Britain and the US of late. For decades the centrists in Washington have dominated politics on both sides of a supposed political divide. And one issue that has enjoyed especially strong bipartisan support in the US is backing for Israel. The reason for a narrow Washington consensus on a whole range of issues, including Israel, has been the stranglehold on the US political process of corporate money and paid lobbyists. Lobbies prefer to operate in the dark, wielding influence out of public view. In the case of Israel, however, the lobby has become ever more visible to outsiders and its defences of Israel ever harder to sustain as abuses of Palestinians are readily displayed on social media. That, in turn, has spurred the growth of the BDS movement and a new, if still small, wave of insurgency politicians. Muslim Congresswoman Ilhan Omar showed how the established system seeks to tame wayward freshmen after she tweeted an obvious point that the pro-Israel lobby group AIPAC – like other lobbyists – uses its money to enforce political orthodoxy in Washington in its chosen field. Or as she expressed it, “It’s all about the Benjamins” – slang for $100 bills, which feature an image of Benjamin Franklin. She was quickly submerged in an avalanche of claims that her comment was evidence of antisemitism. They came from across the so-called political spectrum, from the grandees of her own Democratic party to President Trump. Weighed down with the criticism, she apologized. Omar justified her decision, saying it was up to Jews to decide what is antisemitic. In an age of rampant identity politics, this sounds superficially plausible. But it actually makes no sense at all. Even if a clear majority of Jews do in fact think criticism of Israel or its lobbyists is antisemitic – a highly questionable assumption – they don’t enjoy some special or exclusive right to make that determination. Israel victimises Palestinians, as has been endlessly documented. No one has the right to claim the moral high ground as a victim of racism when they are using that same high ground to obstruct scrutiny of Israel’s crimes against Palestinians. To think otherwise would be to prioritise the defense of Jews from a possible racism over the vast evidence of concrete racism by Israel against Palestinians. But more to the point, Omar’s apology assumes that those Jews with the loudest voices – that is, those with the biggest platforms and the most money – represent all Jews. It makes organised American Jewry, whose vigorous support for Israel has proved unshakeable even as Israeli prime minster Benjamin Netanyahu has driven the country to the far right, the arbiter of what all Jews think. In fact, it does more. It makes the Israel lobby itself the one to determine whether there is an Israel lobby. It gives the lobby permission to shield itself entirely from view, allowing its influence to become even more entrenched and opaque. Omar is far from alone. Other prominent critics of Israel, often black, have found themselves singled out for accusations of antisemitism over the criticism of Israel, including recently Marc Lamont Hill and Angela Davis. Through a drip-drip of accusations that Omar is expressing “antisemitic tropes” when she speaks out, the aim is to make sure she starts to self-censor, becomes as “moderate” as her fellow politicians, and joins the bipartisan consensus on leaving Israel to get on with abusing Palestinians. If she doesn’t, it is assumed, she will be finished politically, kicked out either by her own party bureaucracy or by voters. That process is much further advanced in Britain with a concerted and long-running campaign to stigmatise Jeremy Corbyn with claims of antisemitism since he became leader of the Labour party more than three years ago. Corbyn is both a throwback to a socialist tradition in Britain that was killed by Margaret Thatcher in the early 1980s and a staunch supporter of the Palestinian cause. In fact, he is a major anomaly: a European politician in sight of power who prioritises the right of Palestinians to justice over Israel’s policy of oppressing Palestinians. The Israel lobby has a great deal to fear from him in changing the political climate in Europe towards Israel. In the UK, the ruling Conservative party has moved relentlessly to the right in recent decades, leaving the Labour party in parliament to occupy the centrist ground carved out for it during Tony Blair’s leadership in the 1990s. Although enjoying huge support among Labour members that propelled him into the leadership, Corbyn is at war with most of his MPs. The centrists there have happily weaponised antisemitism to damage Corbyn and the hundreds of thousands of members behind him, just as Macron has against his own political opponents. Corbyn’s own MPs have publicly accused him of indulging an “institutional antisemitism” in Labour, or even of being antisemitic himself. They have done so even though all evidence suggests that there is very little antisemitism among Labour members – and less than in the ruling Conservative party.] Labour members, however, have felt liberated by Corbyn to be much more outspoken in criticizing Israel. This month a group of eight Labour MPs split from the party to set up a new faction, the Independent Group, citing Labour’s supposed “antisemitism problem” as one of the main reasons. Highlighting their centrist agenda, three “moderate” Conservative MPs joined them, opposed to prime minister Theresa May’s hardline on exiting the European Union, known as Brexit. More MPs from both sides may follow. In response, Corbyn’s deputy, Tom Watson, another centrist, backed the defectors and scorned his own party members, reiterating claims of an antisemitism crisis in the party and saying it was time to root it out. Corbyn has repeatedly tried to appease the centrists, as well as pro-Israel lobby groups in the UK – both those inside his party like Labour Friends of Israel and the Jewish Labour Movement, and those outside like the Board of Deputies, BICOM and the Campaign Against Anti-Semitism. Over apparent opposition from members, the Labour party has even accepted the IHRA definition of antisemitism, including the examples meant to shield Israel from criticism – all to no effect. In fact, the more Corbyn has conceded to critics, the more his critics have trumpeted a supposed antisemitism problem in Labour. Corbyn is slowly learning, as others are in the US and Europe, that this is not a good-faith disagreement and that there is no middle ground. The smear industry doesn’t want safeguards on antisemitism, they want a return to a political culture in which their power was left unchallenged and unscrutinised. For the Israel lobby, that means the revival of a political climate that existed before the discrediting of the Oslo process, in which criticism of Israel was publicly shunned and the Palestinians were treated chiefly as terrorists. For the centrists, it requires the entrenchment of a managerial, neoliberal politics in which major corporations and the financial industries have the freedom to dictate economic and social policies and their failures are unquestioningly bailed out by the public through austerity programmes. It is an unholy pact, and one in which Jews are being used to oil the wheels of a failed, impotent and increasingly authoritarian politics of the center. Wilmien Wicomb writes that the South African Supreme Court of Appeal in Bloemfontein has ruled that speech that offends people is protected and acquits Bongani Masuku. While this is not directly applicable to the United Kingdom many of the arguments in this case can be applied in our courts. The Supreme Court of Appeal (SCA) this week delivered a judgment that provided much needed clarity about the meaning of “hate speech” as prohibited in the Equality Act. Understanding what constitutes hate speech is crucial to properly protecting and promoting the right to freedom of expression. Besides being a fundamental human right in section 16 of the Constitution, freedom of expression has been described by the Constitutional Court as “a guarantor of democracy”. The dispute arose in February and March 2009, but was prompted by the military action against the Gaza Strip by the Israeli government at the end of 2008. The conflict resulted in more than seven hundred deaths. The violence received worldwide attention. The Austrian Government is pressing the EU to adopt an EU Council Declaration on the fight against antisemitism which includes adopting the flawed IHRA definition. The EU antisemitism Coordinator Katharina Von Schnurbein and Commissioner Vera Jourova have announced their support for this initiative. Free Speech on Israel has written to the EU Ambassadors who sit on COREPER II, the committee that will consider this proposal. I am writing to you in connection with the proposal that we believe is to be presented at the forthcoming meeting of COREPER II, to request the European Council to adopt the International Holocaust Remembrance Alliance (IHRA) definitional package. 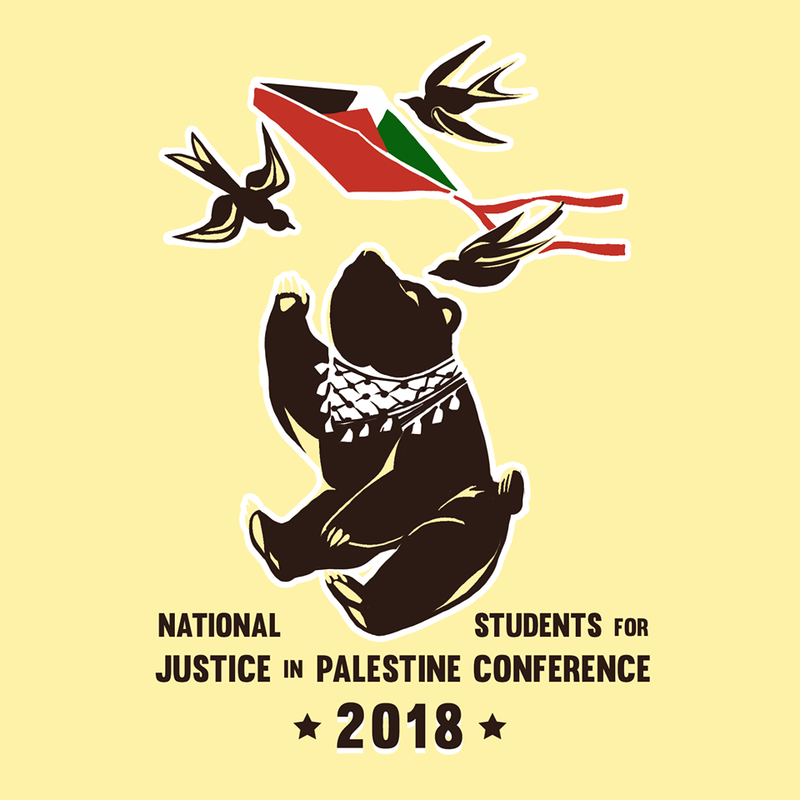 Nada Elia reflects on campus censorship and how voices for Palestine are silenced on Campus while pro-Israel views are allowed an open platform. She compares the behaviour of university administrators with that of cops who mange to take white shooters alive but routinely kill black ones. 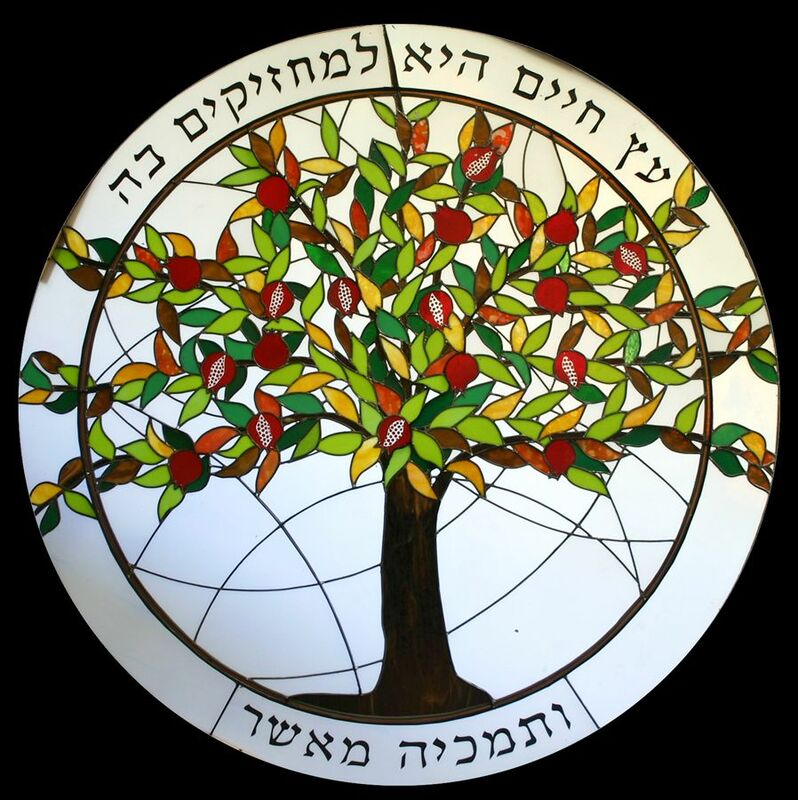 The massacre at the Tree of Life Synagogue on Saturday 27 October in Pittsburgh was the worst hate crime against Jews in US history. The killer, Robert Bowers, was inspired by hatred of Jews as Jews. Bowers’ antisemitic expressions of a Jewish conspiracy and his hatred of Muslims, refugees and migrants, festered in the climate of hate, antisemitism, Islamophobia and racism promoted by President Donald Trump and his administration. Such a recognition was evident in the response of the Jewish community in Pittsburgh. 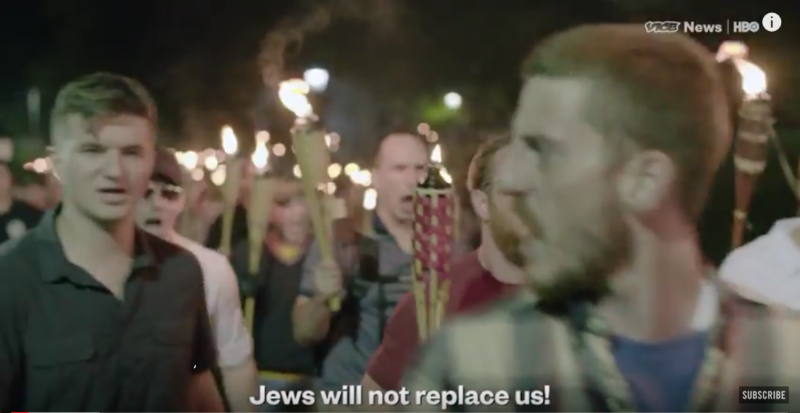 I suggest that Zionists fond of smearing critics of Israel as ‘antisemites’ take a sobering look at the VICE news clip of the white nationalist torch march through the campus of the University of Virginia the night before the lethal riot in Charlottesville. Trump support for racists forces Israeli leaders to take sides, but which side will they choose? Author FreeSpeechonIsraelPosted on 18 August 2017 21 August 2017 Categories InternationalTags alt-right, antisemitism, Charlottesville, Herzl, neo-Nazis, Netanyahu, Trump, ZionismLeave a comment on Trump support for racists forces Israeli leaders to take sides, but which side will they choose? A debate in the European Parliament on Wednesday (May 31) exposed pro-Israel lobbyists as the natural allies of far-right Islamophobes supporting a definition of antisemitism designed to defend the state of Israel. This document, based on an earlier “working definition” abandoned by the now defunct EU monitoring centre on racism and xenophobia (EUMC), broadens the widely understood concept of antisemitism as hostility towards Jews, to include criticism of Israel. In Thursday’s vote, 101 MEPs voted against its inclusion in the motion, but 479 voted in favour while 47 abstained. The motion including the contentious clause was passed.